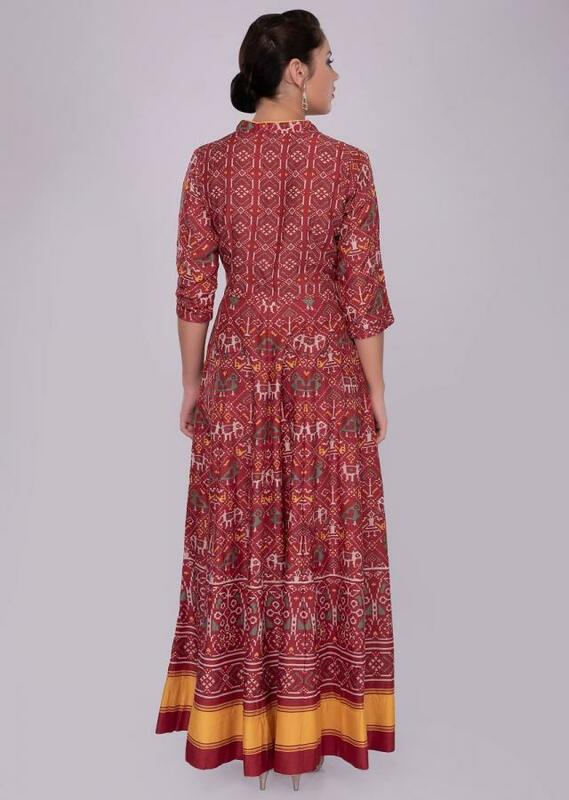 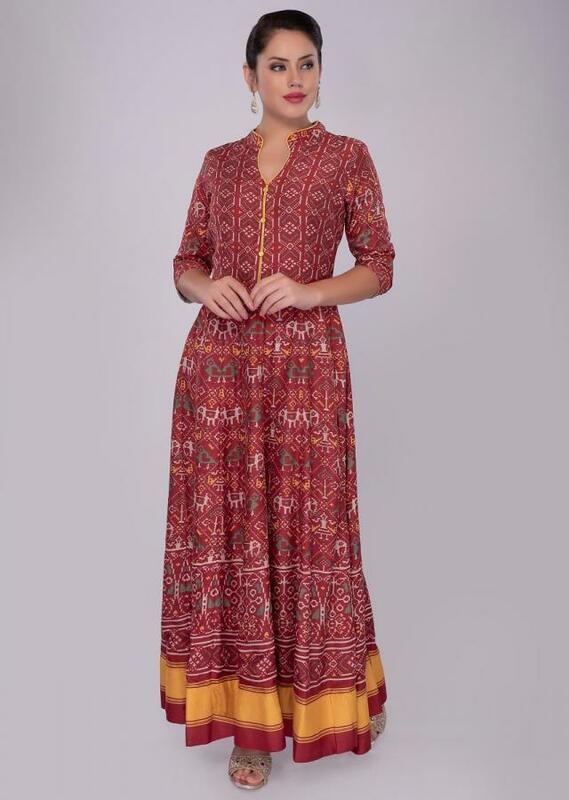 Red cotton tunic dress with contrasting yellow hem. 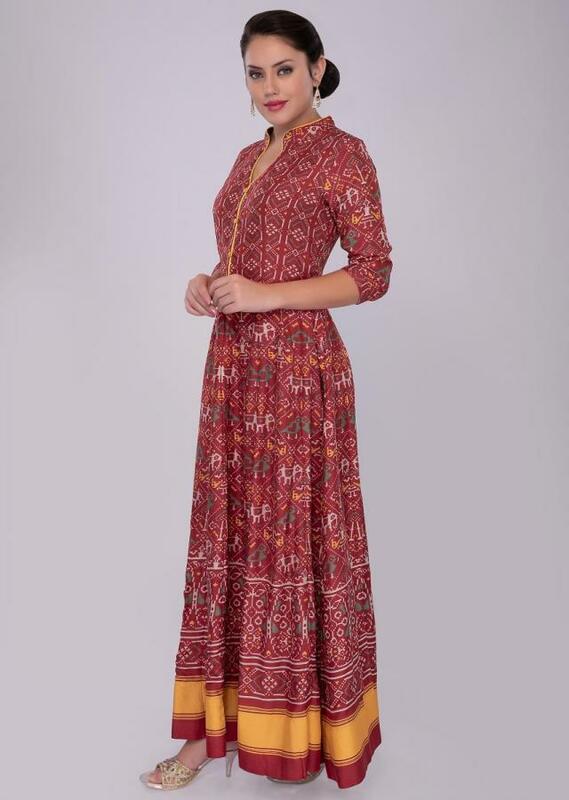 The dress is adorn with patola print all over. 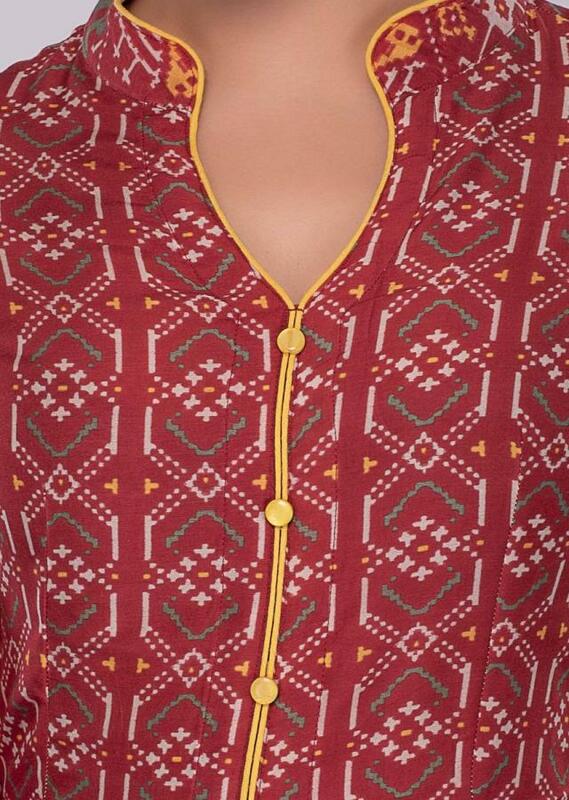 Further has yellow buttons and piping enhancing the plackets.Slight variation in color is possible due to digital photography.